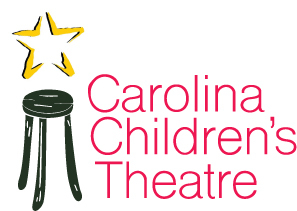 Welcome to Carolina Children's Theatre! an original play written just for Carolina Children's Theatre. at the NEW Fuquay Varina Arts Center! Thank you to all our friends and family and audience who helped create lasting memories and especially our wonderful sponsors! Check out our new Instagram site @carolinachildrenstheatre. The Fuquay Varina Arts Center -- NEW!!!!! An original play written for Carolina Children's Theatre. An modern twist on the classic tale of the once and future king and the Sword in the Stone. Global Children's Theatre Right Here at Home. Our mission is to provide a safe, fun and creative environment for children and families. Blending global theatre, classic stories, and visual art with a dash of limitless imagination to support our brave new learners and future leaders.